William Hill Poker is giving players the opportunity to win a package to the WSOP Monster Stack event via a weekly super satellite and a Twister promotion. If you fancy being part of the WSOP action in Las Vegas this summer, there is no better place to win your seat in one of the most popular events of the series than at William Hill Poker. The site has just started hosting weekly super satellites with twenty €5,700 packages to the WSOP Monster Stack event up for grabs, plus an extra package available in its Viva Las Vegas Twister promotion. 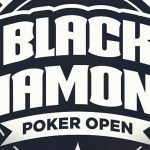 In addition to an entry in the WSOP Monster Stack event, the winner of each package will receive seven nights´ accommodation for two at the LINQ Hotel from 22nd June to 29th June, €2,200 towards travel expenses and spending money, an evening Strip helicopter tour for two people, and invitations to William Hill Poker´s welcome and farewell parties. The “Viva Las Vegas” weekly super satellites start each Sunday at 8:00pm GMT and have two hours late registration (please remember the clocks go forward this weekend). They have a direct buy-in of €91 + €9, or you can win your seat to the super satellite via a selection of low buy-in qualifiers running throughout the week at William Hill Poker. Although next Sunday´s super satellite guarantees just one “Viva Las Vegas” package, competition for the valuable prize is likely to heat up from Sunday 2nd April – when two packages are guaranteed – and again on 7th May and 14th May when three packages and five packages are guaranteed respectively. Please note that you have to be aged twenty-one years or over in order to take advantage of the prize, and it cannot be transferred or converted into cash. 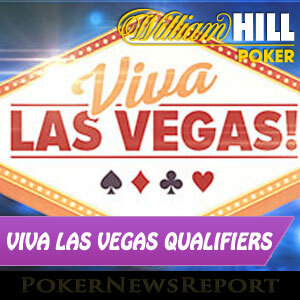 If the thought of investing €100 in your poker abilities sends shivers down your spine, William Hill Poker is also offering players a more affordable opportunity to win a package to the WSOP Monster Stack via its “Viva Las Vegas” Twister promotion. 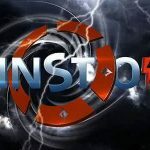 For the promotion, the site has set up a cycle of 10,000 Twister games with a buy-in of €2.50, one of which will pay out the prize of a €5,700 “Viva Las Vegas” package. Naturally there are other prizes that can be won as well. The majority of games will award vouchers valued at €5.00, €10.00 and €20.00 that can be used to enter any William Hill Poker tournament. 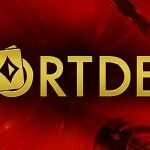 The promotion will also give away forty €100.00 tournament tickets that can only be used to enter the “Viva Las Vegas” weekly super satellites. Win one of these tickets and at least you will not be investing €100 of your own money in your poker abilities! Think the Monster is Too Big for You to Conquer? Think Again. The WSOP Monster Stack event is one of the biggest events of the World Series of Poker. Last year almost 7,000 players took part in the event, which was eventually won by Texan Mitchell Towner. Towner picked up $1,120,196 for his victory – his first live poker cash according the Hendon Mob database – and later admitted that he had only entered the event because he happened to be in Las Vegas for a work-related conference. “I really don´t play poker” he said. 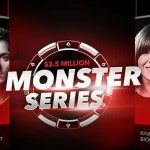 Towner´s win should encourage recreational players who may believe that qualifying for the WSOP Monster Stack event, and then cashing in the event, is too big a challenge to conquer. Find out if you are capable of conquering the monster by heading over to William Hill Poker today, and qualifying for the WSOP Monster Stack event via either of the routes offered in the site´s Viva Las Vegas promotion.